I made this shawl in about three days, near the end of fall getting ready for winter wear. I love it! I get a million complements on it, no matter which way I wear it. I used just one color instead of a variegated yarn to bring out the pattern and love wearing it with a greatly contrasting shirt underneath. The pattern is really easy, and when I made it, I learned a technique new to me- a single crochet foundation row. I love this technique now and often not only use it, but also double crochet foundation rows to start large pieces. After you get the first five rows worked, it's just three rounds repeating which decreases as you go, which means that it gets easier as you go along. 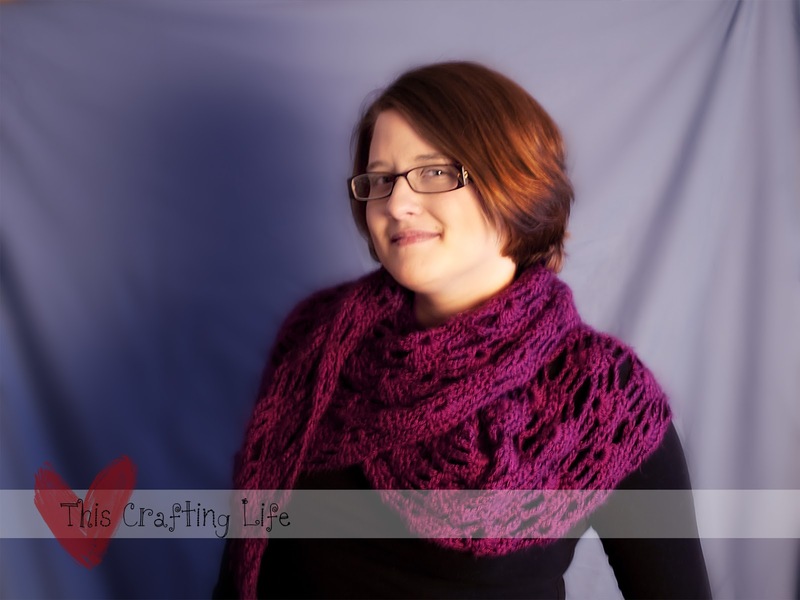 When you're done, you just work the edging and you have this beautiful shawl to show for it! I used a larger hook, I think it was an "I", and I used Caron Simply Soft and love the way the shawl drapes. 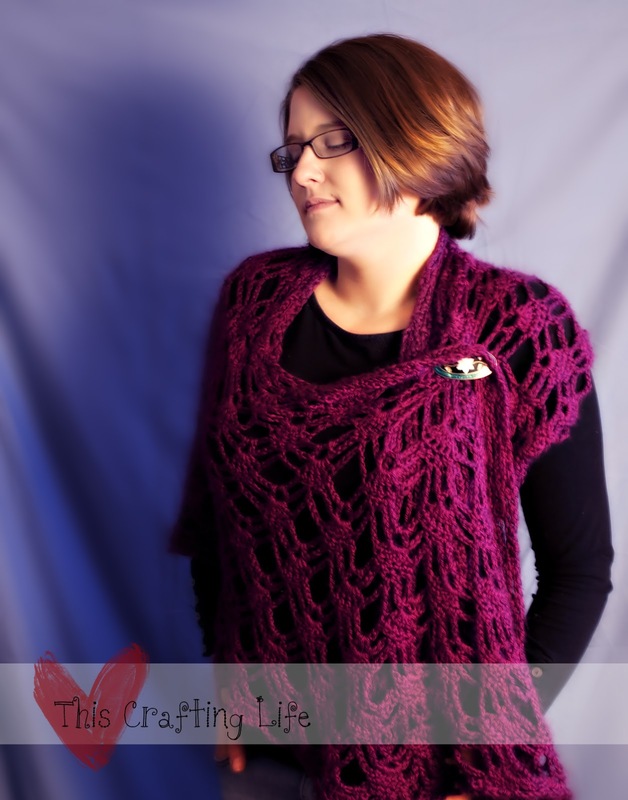 The other great thing about this pattern is that you can wear it in many different ways and it is quite warm.